The Owyhee Canyonland in southeastern Oregon is an area filled with spectacular natural wonders that very few people have seen. It is raw and rugged and remote. And while it’s not a National Park… yet, one day it might be. I had a chance to run it between my “other” National Park adventures. 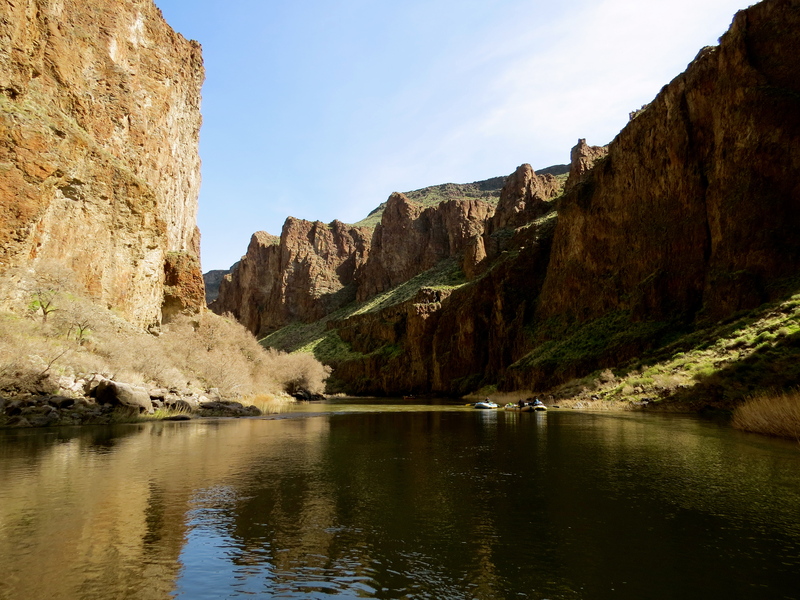 In a typical year, the Owyhee River that flows through the “Grand Canyon of Oregon” is only “runnable” for a couple of months each year when the river level is high enough. Thanks to above average snow in the Sierra’s this winter, that window opened briefly this spring creating an opportunity that only comes along every few years. 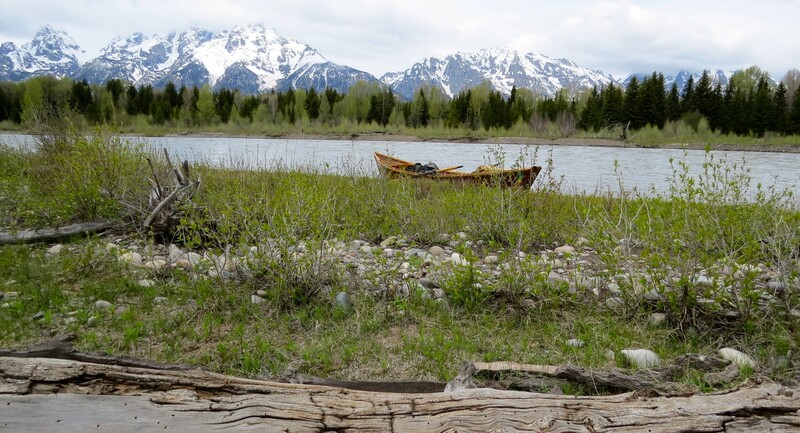 Any chance to run my wooden boat in such a wild and beautiful place is worth a little “creative scheduling” and I dropped what I was doing to join my favorite crew of river rats for the trip of a lifetime. 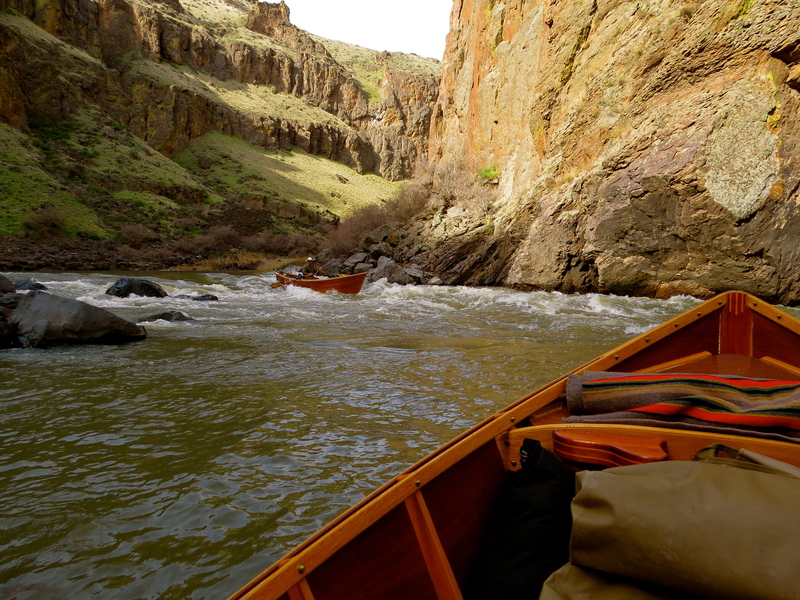 The Owyhee is named after three trappers in Donald MacKenzie’s North West fur company that were sent by him to explore the river in 1819 and were never seen again. They were natives of Hawaii which, at that time, was spelled Owyhee and the spelling and pronunciation stuck. No one knew for certain what happened to them. Our first night on the river was several degree’s below freezing and a thick layer of frost covered everything when we woke. It warmed up each night we were in the canyon and night-time temps stayed mostly in the lower forty’s. 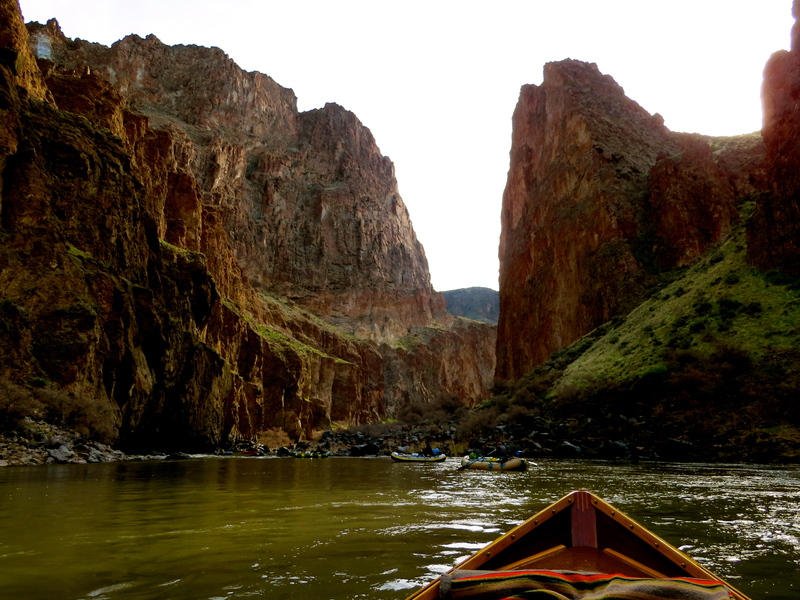 As we rowed into the depths of the Owyhee, the light created shadow creatures on the walls of the canyons that appeared even during the middle of the day. They seemed to be guardians of the gorge. Keepers of the secrets. 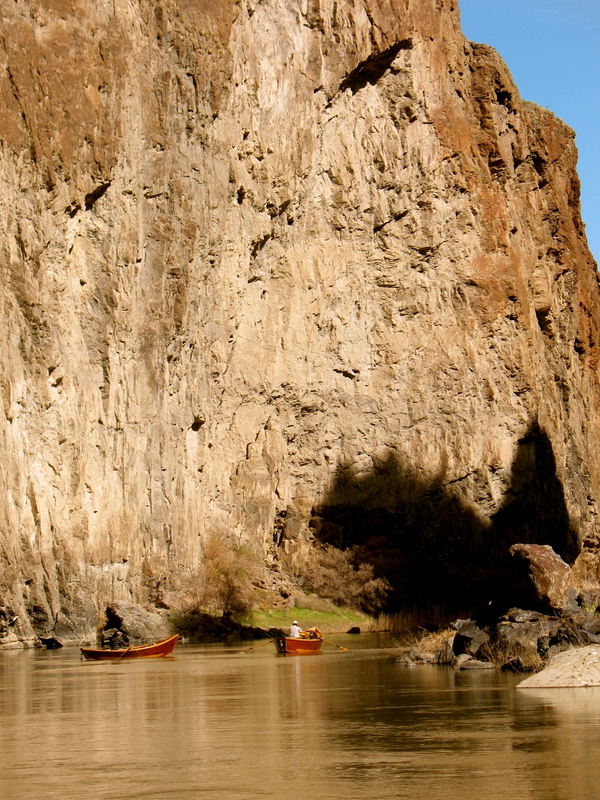 Protectors of the wild and scenic river. 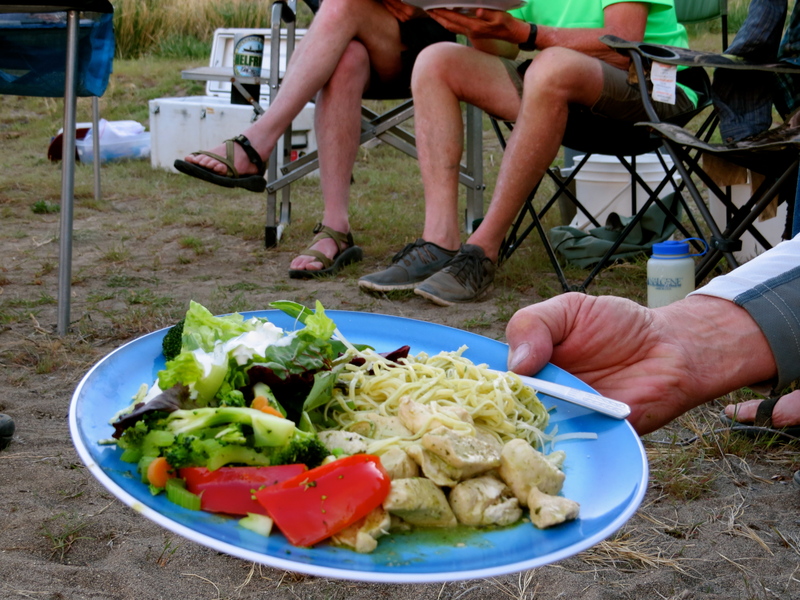 We ate well, and the food always tastes better in remote and beautiful settings. 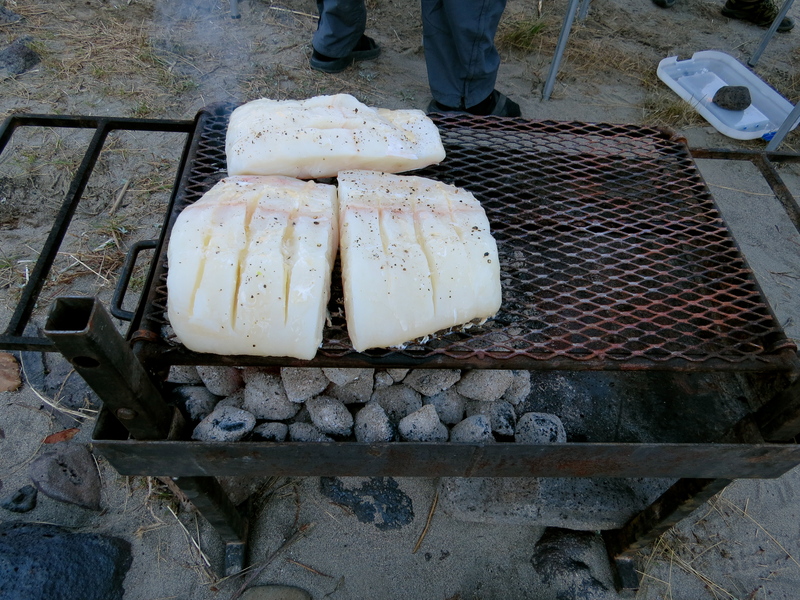 Entree’s of fresh halibut, prime rib, and chicken were complimented by sides of baked potatoes, rice pilaf, fresh salad, and finished off with cheesecake and dutch oven cobbler. 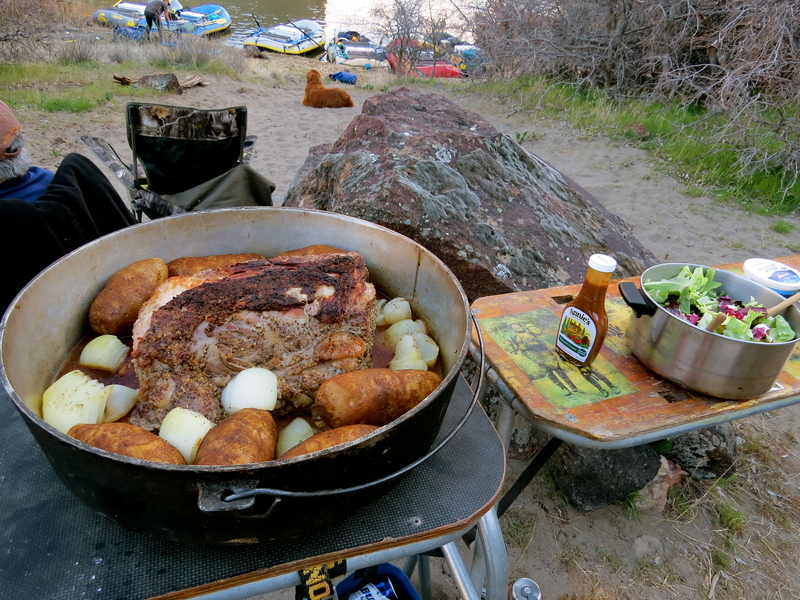 Prime Rib in a Dutch Oven by Aaron Helfrich. Aaron running it right in his new wood boat. There weren’t a lot of fishing opportunities, but we had an “angler” in the group and Aaron caught several nice smallmouth bass on the fly. 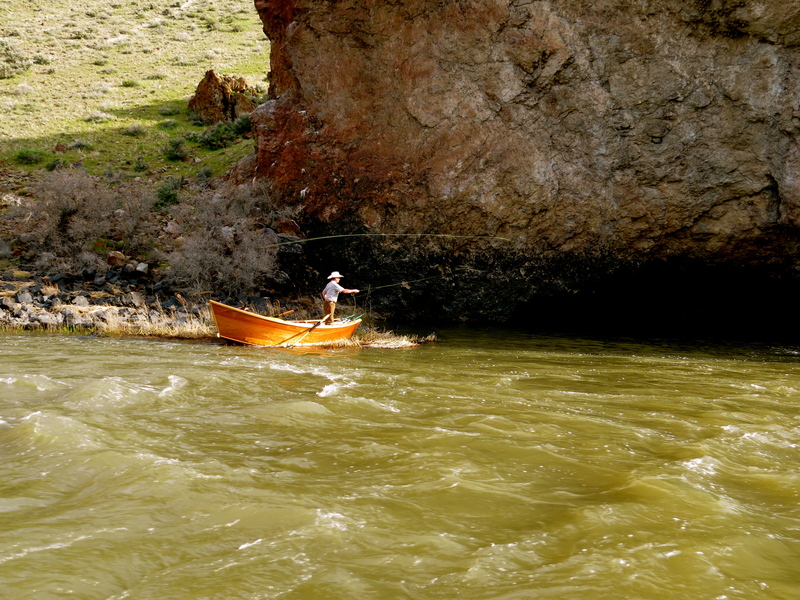 Casting in the Canyon… a fine fisherman. 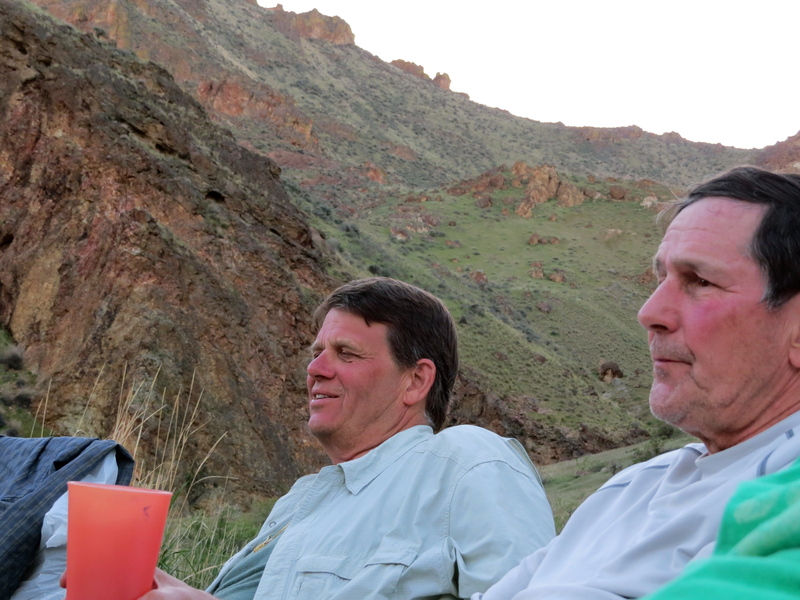 While this trip was filled with great scenery, fantastic food, and thrilling rapids – I will remember the fellowship around the campfire as a particular highlight of this trip on the Owyhee. 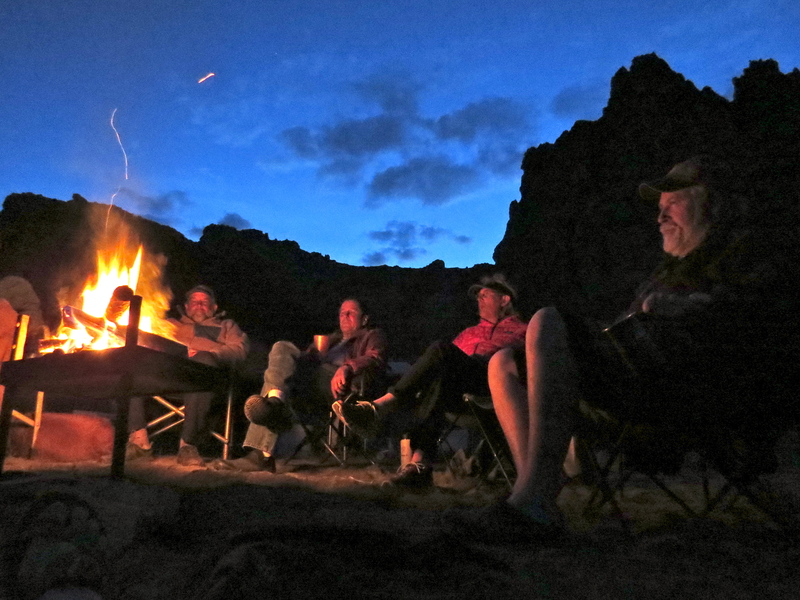 Evening Meal – friends around the fire. 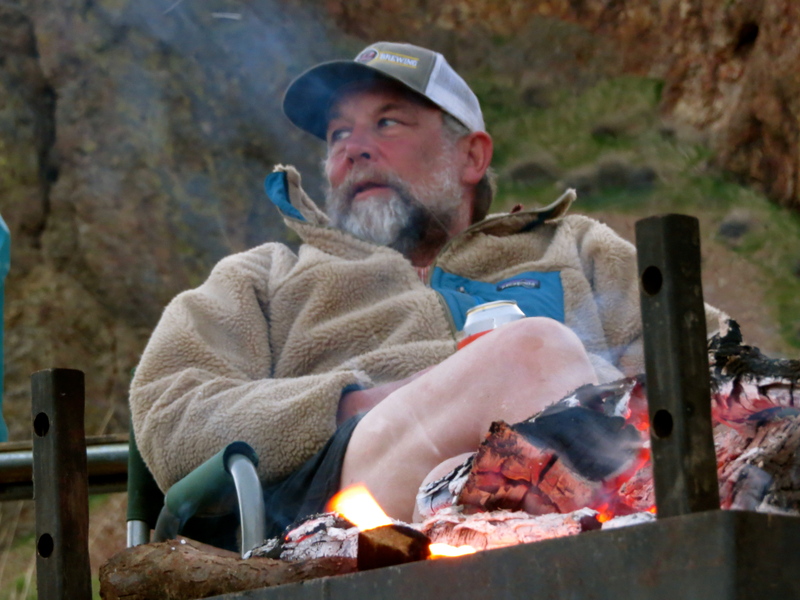 Around the campfire… a look. If you want to go there… I recommend the section of river from Rome down to Birch Creek at a river level above 1,000 CFS. 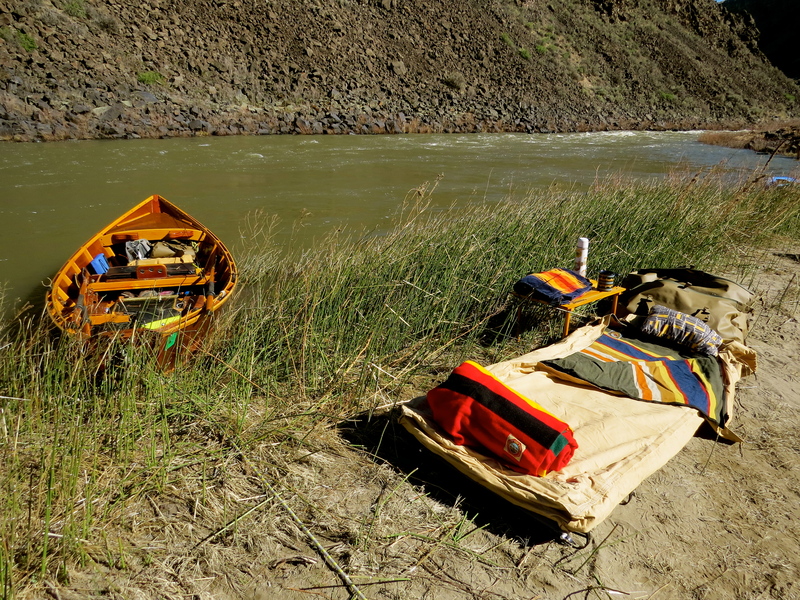 Make sure you are with an experienced crew of rowers that can handle technical rapids and river rescues. If you want to hire professional guides to take you through this incredible canyon – contact the helfrich group….they are quite simply the best and you will have an unforgettable experience. As usual, it felt like i was there. Outstanding pictures. I could almost taste dinner. Almost. A great ride. Thanks for sharing. Fantastic photos! Completely unspoiled and spectacular. Thanks for sharing, Greg. Great story. Thanks George – it was a first class adventure!! Great to share the river and a wood boat experience with you Aaron. Ready to do it again! !